If you look closely, the rock among the hosta in my garden is shaped like a heart. Brought to me by a neighbor 18 years ago, it stands as a memorial to God’s healing power. I never thought we could forget the months our son lay in the hospital, too young to know his heart wasn’t right or that breathing could be easy. But we do forget some days. Or at least we don’t think about it much, now that he is strong and healthy, graduating high school. It’s easy to forget how good God is, how strong he is on our behalf. 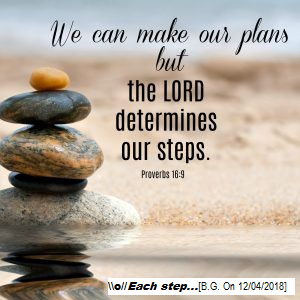 God knew this about us when he commanded Joshua to assemble 12 stones in the middle of the Jordan River, and set another 12 as a monument at Gilgal when they’d passed over (see Joshua 3-4). The children of Israel were 40 years beyond the Red Sea crossing and none but Joshua and Caleb could remember that great day. Now, as they entered the Promised Land, the Jordan was at flood stage. But this time, instead of fleeing an enemy, they were crossing over to meet one. God split the waters as though to say, See? I’m the same God today! Follow me and I will guide you, and I will drive out your enemies before you. The people crossed over on dry land and from the spot where the priests stood in the riverbed, holding the Ark of the Covenant, they pulled stones representing each tribe. Twelve to stand in the river, an annual witness when the waters receded in the dry season; and twelve as a witness on land. Years later, that pile of smooth river rock at Gilgal would excite curiosity among their children. “What do these stones mean?” they would ask. And that was the purpose for the pile. Not just to remind those who experienced the miracle, but to witness to God’s power in the future. To create an opportunity for later generations to say to their children and their neighbors: our God is great. Where Is Your Rock Pile? Whenever I weed my garden, the “heart rock” triggers my memory. But more importantly – when I show off the plants around it, I can’t help but tell the story: that for months we did not know our son would live; that one Sunday our priest called us to stand at mass and he prayed for him – and from that day, he began to heal. “Without God, I could not,” I say. The rock draws out my witness, gives me an occasion to speak of God’s power and strength, of his comfort. It doesn’t need to be a literal stone, you can plant a tree or make a quilt, place a memento on a shelf. Put something that represents the occasion where others can see it. Talk about it to your children. Let them know that the same God who carried Israel across the Red Sea and the Jordan is alive today and can be known and trusted and turned to in times of trouble. Thank you all for sharing your stories! By doing so, you strengthen us. How wonderful that you are able to celebrate your life with plant life… And we all know that a garden is a bit of heaven on earth, till we reach the eternal garden. May you continue to flourish along with your Victory Garden! Thank you for your prayers Marianne. Our family has always celebrated God by tending the natural life. My father was a forest ranger so summers were spent on a ranger station. We had lots of wild life to feed and plenty of wild plants to eat. When my father’s career reached a point where the family remained in town year round. The family had a huge garden and many squirrel and bird feeders. I wasn’t aware of God’s power associated with the memorial rock pile, but thanks to Sarah’s citation in her story. About forty four years ago i incidentally built rock pile and until today I have a very clear memory of God’s bountiful blessing for food that plant grew and came out from the rock pile. I can tell now as God’s grace, after reading rock pile story of Sarah. Surprisingly, any gardener never expect that from the pile of rock can produce the biggest of sweet potato fruit weighing 10 kilos (22 lbs) more or less. My God!!! This is the biggest that I have seen in my life time. My story goes on my rock pile happened in the Territory of America in the South Pacific called American Samoa, when I was less than a year in this country as foreign worker. The place is very unique and quiet after work, because, at that time when all offices closed at four PM all business establishments, like stores and supermarkets were also closing. So, being bored for nothing to do after work in the company house where I live alone, I thought of doing backyard gardening. But I am just a week working and I have no tools to use and can’t afford to buy one. I sighted a piece of rusted metal pipe of 3 inch in diameter and about 5 feet long. In my creativity, i made this as a garden tool by pounding one end by heavy rock until it become flat to be able t dig a soil and remove rocks to give way for a garden plot bed. Almost no soil around and full of volcanic rocks. For months that I work almost everyday, I had piled up tons of rocks on the edge of property line as high as 3 feet and length of about 16 feet. To make the story short,in about six months i planted the garden with sweet potato and crept covering the pile of rocks. Since the place is a rain and shine country all through the years, any plants grew vigorously. My wife joined me in this country in the 8th months and noticed right away the pile of rocks and plant vigorously growing on top of them, and uttered like a prophesy that soon she can pick big potatoes on the rocks and I only laughed at her. On the next month, I noticed plant leaves are getting matured and becoming yellowish and some were dried. So I walked over the pile of rocks and when I pulled a big roots, I found a single big potato fruit imbedded in between big rocks. So I cried out and call my wife what I found, and said, my God!!! We shared the fruit to friends and made cakes and chips, etc which was good for ten guests to eat. We cannot thank enough for God’s most bountiful blessings for food. I love the symbolism of the twelve stones by the river. Like Sarah and her “heart rock”, I am presented with visual reminders that God is with us always… He is our rock, our strength, our comfort… and our salvation. Praise be to God, Sarah, for the power of our prayers, and for healing your son! united for those two days to share our faith and set our own hearts on fire for God! Such a wonderful story, thank you Sarah for sharing. I have been in the process of creating a wall of crosses in my home. I have begun to collect different styles of Our Lord’s cross. I walk by this wall several times a day and when I set my gaze upon it, I try to reflect on the pain and suffering Jesus, as a human being, went through to save our souls. My daughter is very sick and in a lot of pain. The doctors are stumped and have tried many procedures on her. I see the pain in her eyes and body and again I reflect on my wall of crosses. By doing this quiet reflection, it keeps my thoughts grounded and I become a stronger person for my daughter. Sometimes having an object close by, in my case my wall of crosses, help us to remember the real purpose of life. Excellent idea! I have seen a wall of crosses and it is a beautiful sight. I have a single crucifix on my wall that I gaze upon as I pray every morning. You’re right, pnkyB4brain, it is such a visual reminder of how Jesus suffered for us. One cannot help but be humbled and brought to tears when contemplating the reality of His pain and suffering (5,000 lashes). May God continue to bless you and bring comfort and healing to your daughter. May she lean upon our Lord for strength. May we glorify the Lord for all that we receive in our lives, for even the pain releases God’s grace and blessings. Marianne, how wonderful to read from you again! Thank you for your comforting words. May God bless you for your insight and holiness! Thank you, pnkyB4brain. “Back at ya”! It’s always a pleasure to reconnect with “old friends”. What a beautiful story and food for thought. I have never thought about doing this but it is never too late to start.